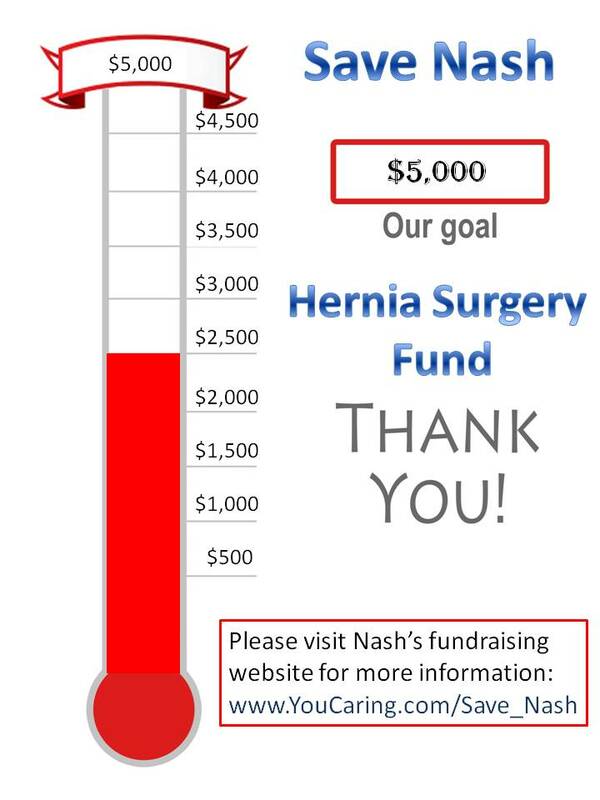 Save Nash: Half way there! I am so very pleased to let you know that thanks to the very big help of my lesson students we have reached the 1/2 way point in Nash’s fund raising campaign. Thanks for all your help and support we have more to go but this is a great accomplishment. I hope to have the funds raised in time to have the surgery done this winter.